Registration processes for Health Science classes vary by program. For information specific to the Pharmacy Technician program, please e-mail the counselor at Ruth.Eloi@browardschools.com. Completing students will be eligible to register with the Florida Board of Pharmacy as a Pharmacy Technician. 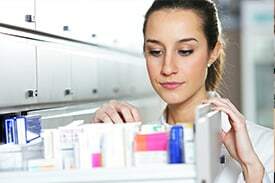 Students are eligible to take the National Certification exam given by the Pharmacy Technician Certification Board, and State of Florida Ready to Work. Upon completion of the program and meeting eligibility requirements, including the attainment of an aligned industry credential, students may be awarded credits toward an AS/AAS Degree by the Florida College System. Additional college credit may be awarded with the attainment of additional industry credentials. To get started in the Pharmacy Technician program, sign up today for a program orientation!